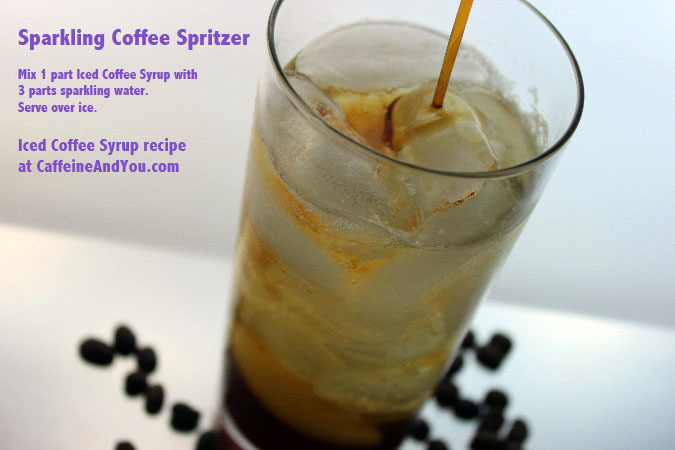 Coffee Spritzers, here we come! Think coffee with cool, bubbly carbonation. These babies go down way too easy… Sweet, concentrated coffee syrup pops with iced sparkling water. Velvety vanilla undertones smooth out the drink. Are you thirsty yet? Iced Coffee Float: vanilla ice cream + whipped cream put this drink over the top, in all the right ways. Turbinado sugar adds hints of molasses and honey, similar to a mild brown sugar. But you can substitute with white sugar. I prefer fine white sugar; the crystals are smaller and dissolve more easily in beverages than regular sugar, but either is fine as long as the sugar completely dissolves. Sea salt in a syrup? Yup. It makes the other flavors shine (it’s why sea salted-caramels taste outrageously good). Use just a pinch. 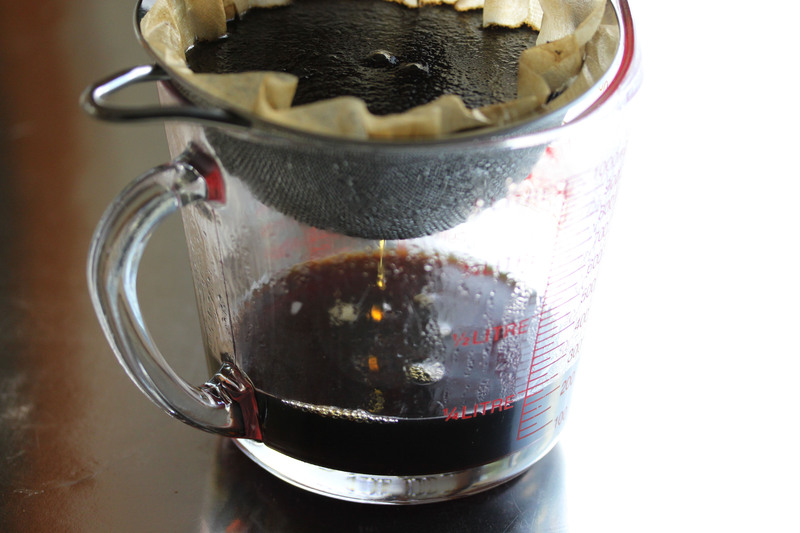 You’ll need a paper coffee filter and a strainer of some kind. A damp filter works best: just wet with water, squeeze out excess, and place in sieve over a quart measuring cup or other large container. Combine both sugars, the coffee, vanilla, and salt with 1-1/2 cups water in a small saucepan. Bring to a boil over medium-high heat, stirring until sugar dissolves. Reduce the heat and boil gently for 1 minute (WARNING: Don’t stop watching the mixture: it can boil over in a flash). Remove from heat and let cool to room temperature. Strain through a dampened coffee filter set in a sieve; this may take as long as 30 minutes. Refrigerate for up to 2 weeks. Makes about 1-3/4 cups syrup. Combine 1 part syrup to 3 parts carbonated water, or to taste. Serve over ice. Slurp it down and make another.